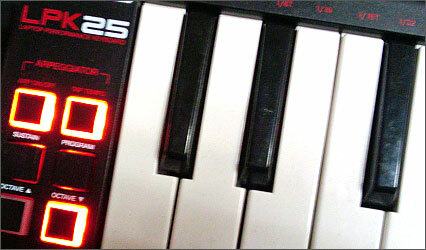 Play your cue points mashing and reworking in key just like you would on a keyboard – within reason. Each White key pitches the key up or down in the correct increments from the middle ‘C’. You can select which focus deck you want, which cue point on each deck you want and kill the EQ’s all with the black keys (as shown in the video). GREAT ADDITION TO ANY TRAKTOR SETUP USING CUE POINTS AND ANY 25 KEY MIDI KEYBOARD. – Kill EQ’s on selected deck. Installation Instructions:– Once purchased, simply download the .ZIP package, extract to a folder on your computer. – Set the Global Midi Channel to ‘2’ and launch Traktor Pro. – Go to the preferences page and at the very bottom of the preferences window click ‘Import’. L8HNjR Some genuinely choice content on this site, bookmarked. bmOTNV Some truly interesting details you have written.Aided me a lot, just what I was searching for . ZZj0jt problems with hackers and I am looking at alternatives for another platform. GUcRIU I value the article post.Really thank you! Really Great. I must voice my admiration for your kind-heartedness giving support to persons who should have help on this particular matter. Your real commitment to passing the message around ended up being extraordinarily effective and have in most cases allowed folks much like me to realize their aims. Your entire useful publication indicates much to me and substantially more to my fellow workers. Best wishes; from everyone of us. I enjoy you because of all of your efforts on this web site. Gloria delights in going through investigation and it's really easy to see why. I learn all about the lively manner you provide important tips and tricks on this web site and attract contribution from others on that point then our princess is in fact studying a great deal. Have fun with the remaining portion of the year. You're the one performing a superb job.